Over 137 million working days were lost due to sickness absence in the UK in 2016. Our team helps employers and employees by verifying sickness through doctor examination and providing a report. We provide your employees with the opportunity to obtain a sickness certificate without having to wait for an appointment with their own GP. Sickness certificates and employee health checks help both the company and the absent employee, by reducing wait times and helping to speed recovery. This can contribute to a reduction in absenteeism in the workplace. I have missed work due to illness. Under what circumstances do I need a doctor’s note? 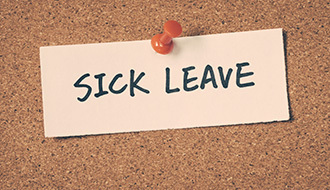 Employees are required to obtain a sick note from a doctor after 7 missed days of work in a row (including non-work days or weekends). What happens if I am sick during my holiday time? If you can provide a doctor’s note for your illness, you will be able to take your sick days as sick leave instead of holiday. What should I do in the case of a long-term sickness and absence from work? You can ask your employer to refer you for a fitness-for-work assessment, which can help you with a timetable for returning to work, advice on how to manage and improve your condition, and evaluate your health in relation to your specific role.